A few days ago Pebble started taking preorders for its upcoming latest watch, the Pebble Time Steel. 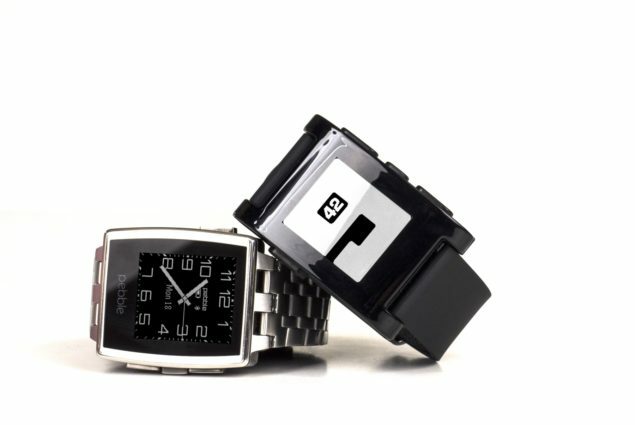 It has been widely seen that Pebble’s other watch the Pebble Time is already in the market and has been widely purchased by people and it has just been out for a couple of weeks. This new preorder system for the upcoming watch shows how the company is expanding their line of business and giving themselves the competitive edge in the smartwatch market. The preorder period will be around six to eight weeks and then you’ll be the owner of a brand new sleek and stylish Pebble Time Steel. The Pebble Time Steel is a fancier version of the much simpler looking Pebble Time, in the end it is the looks that matter most and this watch will appeal to the masses much more than its counterpart. It also has got something new, for starters it has a better battery time than the Time, the display has been improved and lastly the slim metal design is fascinatingly all steel, yes every bit and piece is steel as the name suggests. There are two models available for this version, one is with steel band and the other is offered with a leather strap (ironic). The leather strap model is cheaper at $249 while the steel version costs a little bit extra, by just adding $50 you can get the steel strap. It is expected to be a little thicker and heavier than the simpler Time version but since it has a better battery timing I believe that it would be a better bargain and plus some people like to have heavy watches. The new Pebble Steel Time has the same 64-color LCD installed in it but since the air gap between the glass lens is now reduced dramatically in comparison to the Time version, which will enhance its display quality. Although the black border is too big for the screen size, it still looks pretty enough. The newer Time Steel Version is expected to have the same software as the previous one but will have a new timeline feature installed in it with a little more features of controlling the intensity of background light etc. Now the drawback is that the Pebble watch does not let you filter notifications and they can pop your head anytime of the day, adding to that there is no voice transcription available in the watch which can help make life a lot more easier. These things matter when the smartwatch has strong competitors but still its pricing is quite within the reach of people who want to buy a smartwatch.